Following two critically-acclaimed organ group outings, Dan heads in a new direction on Hymn for the Happy Man, his fourth recording as a leader and debut for his own Same Island Music imprint. The California native and longtime Brooklyn resident hadn't recorded a piano/bass/drums quartet record before, and he felt a need to explore this instrumentation that is such an essential strand to jazz’s DNA. On Hymn for the Happy Man, Dan is backed by the all-star rhythm section of Christian McBride on bass, Greg Hutchinson on drums, and Mike Eckroth on piano. Together, they realize seven well-crafted originals and breathe new life into one well-chosen standard. 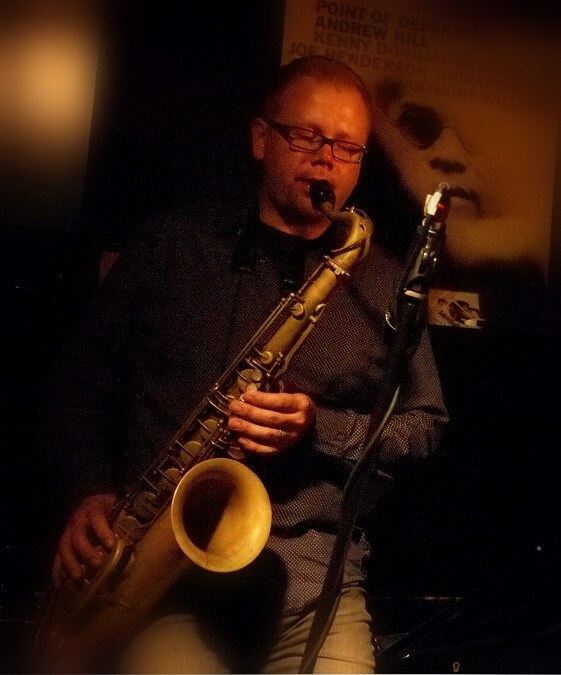 In his professional tenure, Dan has been at home as a soloist and section member in some of the finest ensembles on the scene, having performed and recorded with such artists as Christian McBride, the Village Vanguard Orchestra, Dee Dee Bridgewater, Fantasia, and Usher, in venues from the House of Blues to the White House. He is a founding member of the Brooklyn Jazz Underground collective, and is a regular member of the Christian McBride Big Band, the David Smith Quintet, and the Tammy Scheffer Sextet. RT @jaleelshaw: I think people should be able to trade in their guns for musical instruments and a few private lessons to get them started. A brand new piano-bass-drums quartet featuring Christian McBride, Greg Hutchinson, and Mike Eckroth, performing seven originals and one arranged standard. Released June '16. Available on iTunes and many other sites.